Definitely the motto for this weekend and the annual Leamington Food Festival. It’s definitely become somewhat of an annual pilgrimage for my family and I, so much so that we didn’t even sway from our usual Saturday visit, despite 100% rain forecast, with 97% sunshine on Sunday. So off we trotted, walking boots and all. 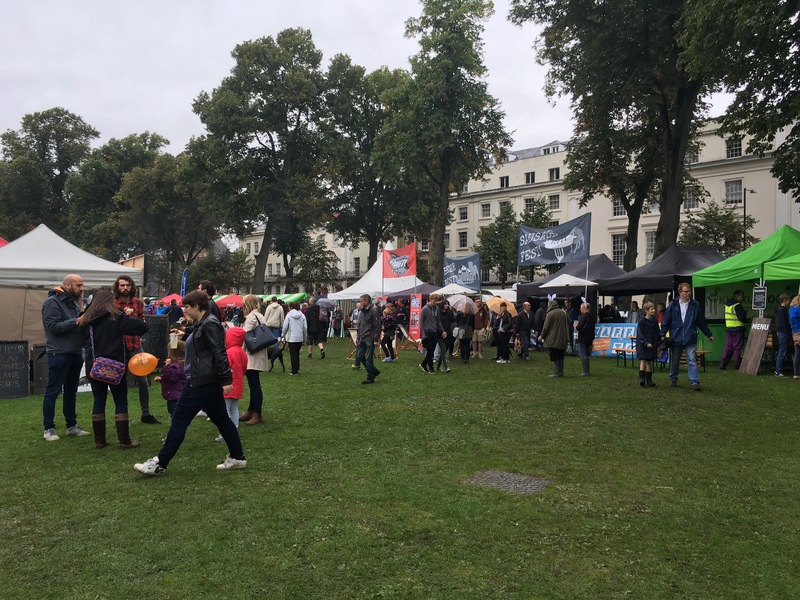 After a quick shelter in the Pump Rooms, we headed on out to sample some food fest delights (and offer the vendors hope of scoring more than one soggy dish despite the weather). 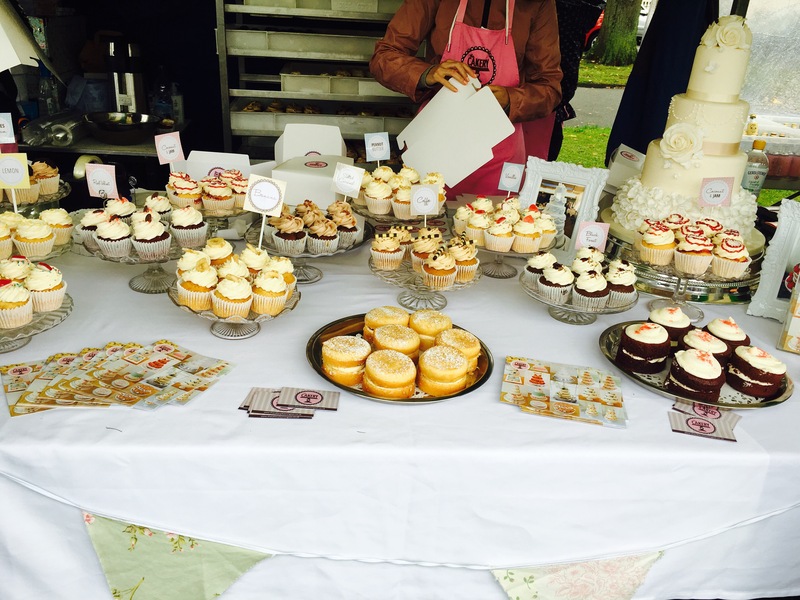 I won’t boast I’m some food festival veteran know-it-all – Leam’s is in its 9th year, I’ve probably now been to 4. However, I would say that the initial stroll around is an obligatory stage in the food festival experience anywhere you go. Seriously, walk around the WHOLE thing. 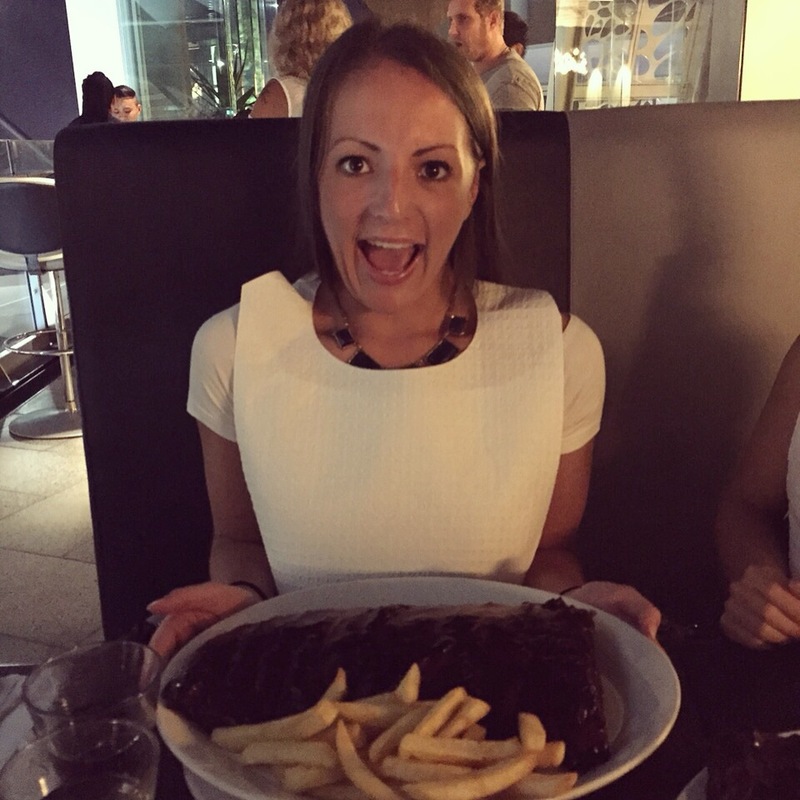 It’s the only way to come close to a) making a decision and b) ensuring you have enough room for EVERYTHING you want to eat. 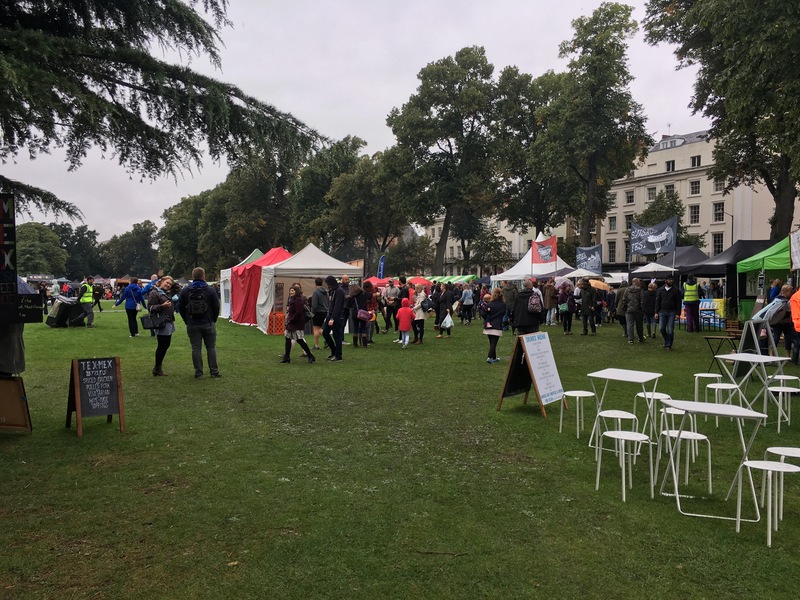 Despite the rain, the people of Leamington and Warwickshire turned out in surprising numbers and come 3pm, the atmosphere was buzzing – just the right amount of busy without the sun-soaked crowds of last year. It must also be said that the band did a great job of keeping spirits high and the atmosphere flying. 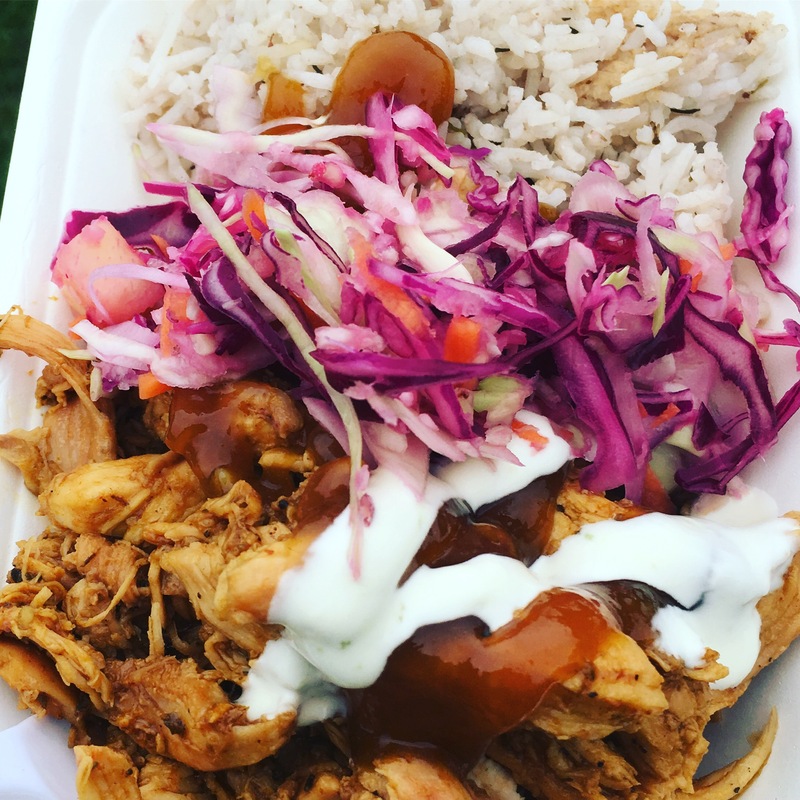 Now, to head off on what may be read as a mini-rant… It’s no secret that the street food trend is accelerating at a tremendous pace in the UK. 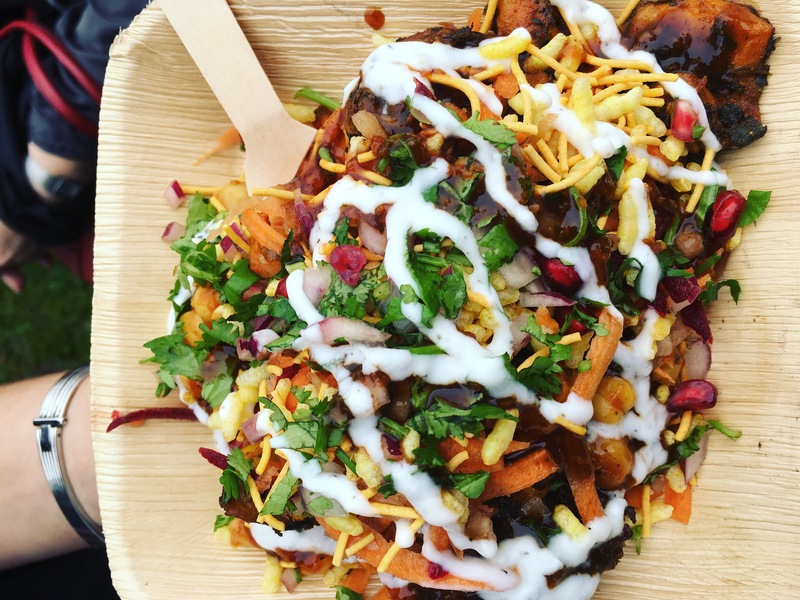 From London’s world-famous markets and #streetfood pop-ups, including venues such as Dinerama that I visited recently, and of course not forgetting Brum’s mighty Digbeth Dining Club and the arrival of Brum Yum Yum’s Hawker Yard, Leamington Food Festival stands up well and still allows me to create a neat top 5 list. 2. 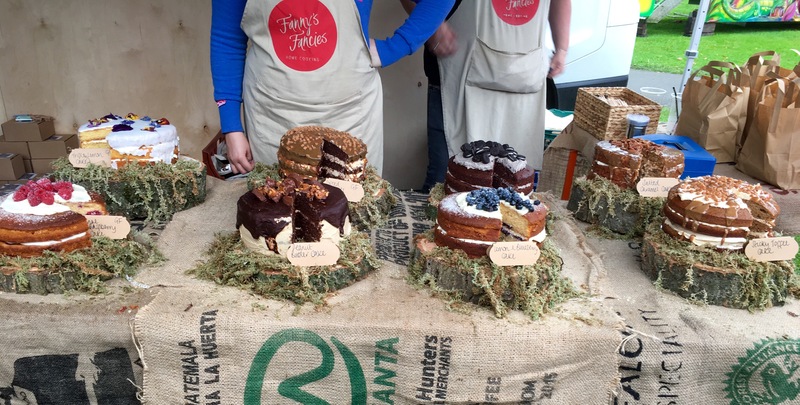 Fanny’s Fancies – how I ever made a decision out of these beauties I don’t know. No wonder Coffee Architects is packed out every weekend. 5. Sweet As – probably too sweet for me, but damn, look at those CAKE JARS – heart attack in a glass. 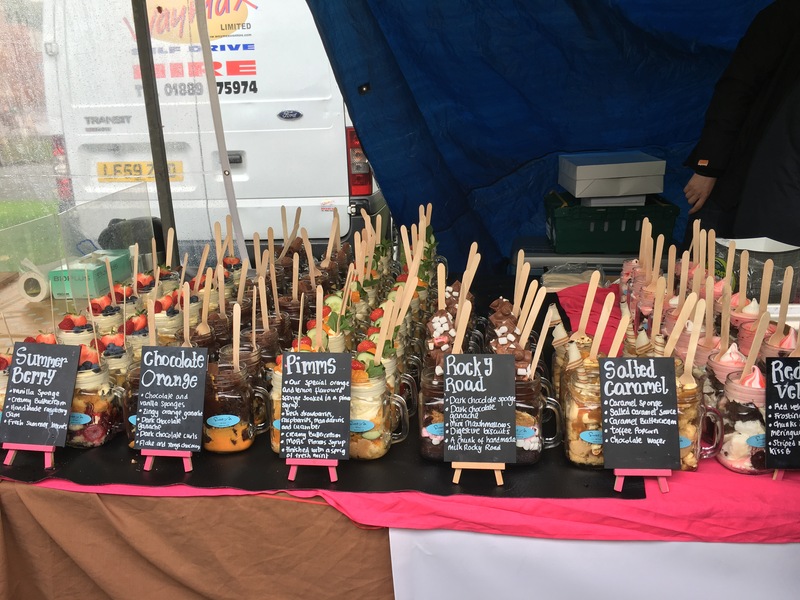 However, while some of the vendors at the fest are now definitely becoming firm festival favourites, others are sadly absent. Dad mourned the absence of his favourite gourmet sausage roll vendor (although Warwick Street Kitchen did partially fill this gap) and his other favourite Polish station. 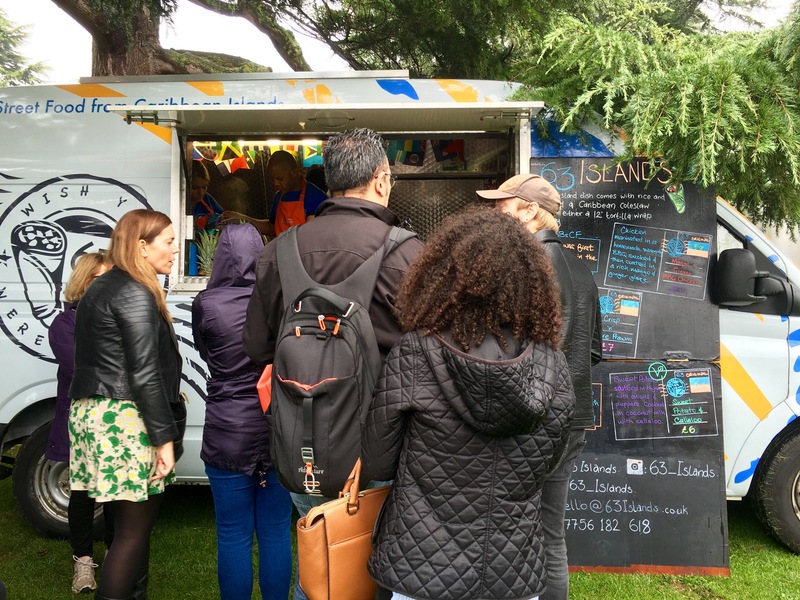 Other absentees were the South-American street food, a man with an irresistibly large big paella dish and somewhere, anywhere serving Pad Thai. 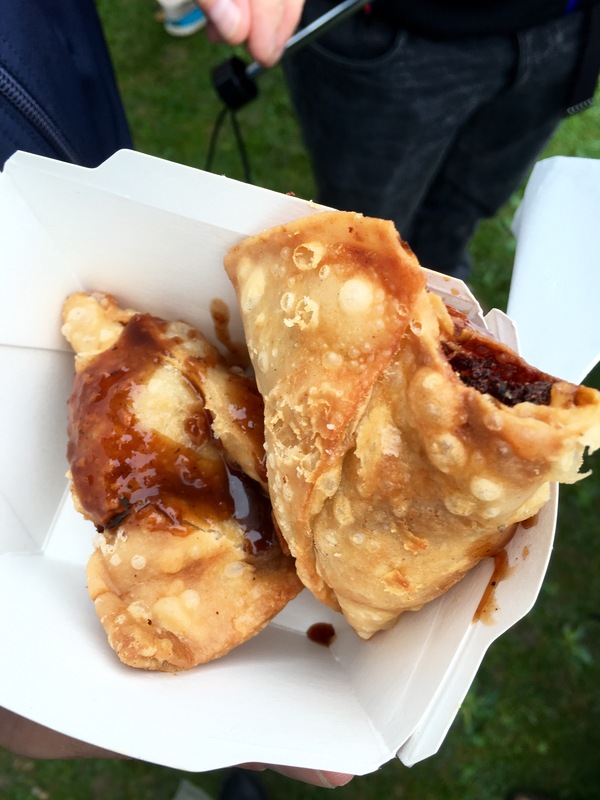 Although the choice was large and generally diverse, I do feel other street food festivals and events have now completely raised the gourmet, exotic bar. 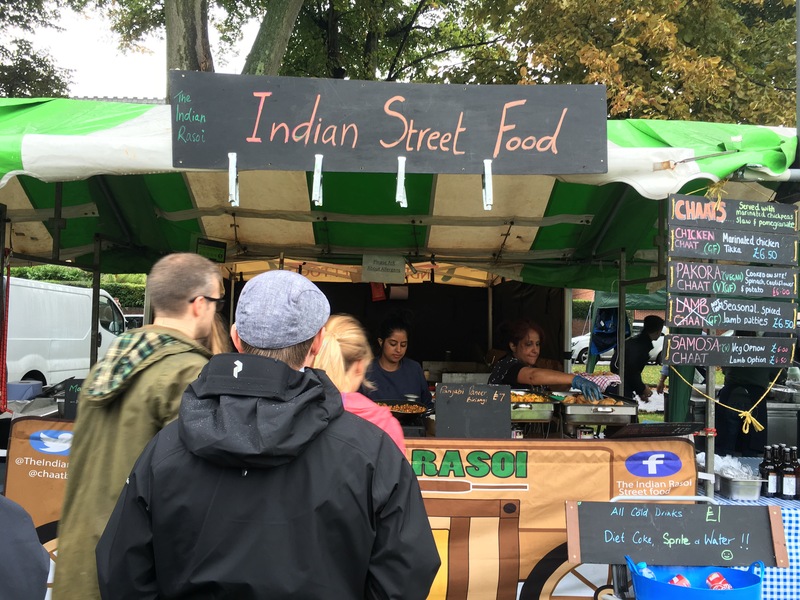 For example, aside from the usual Thai/Indian offerings, the Asian representation was low. Maybe my critique and expectation level is increasing at an alarming rate. 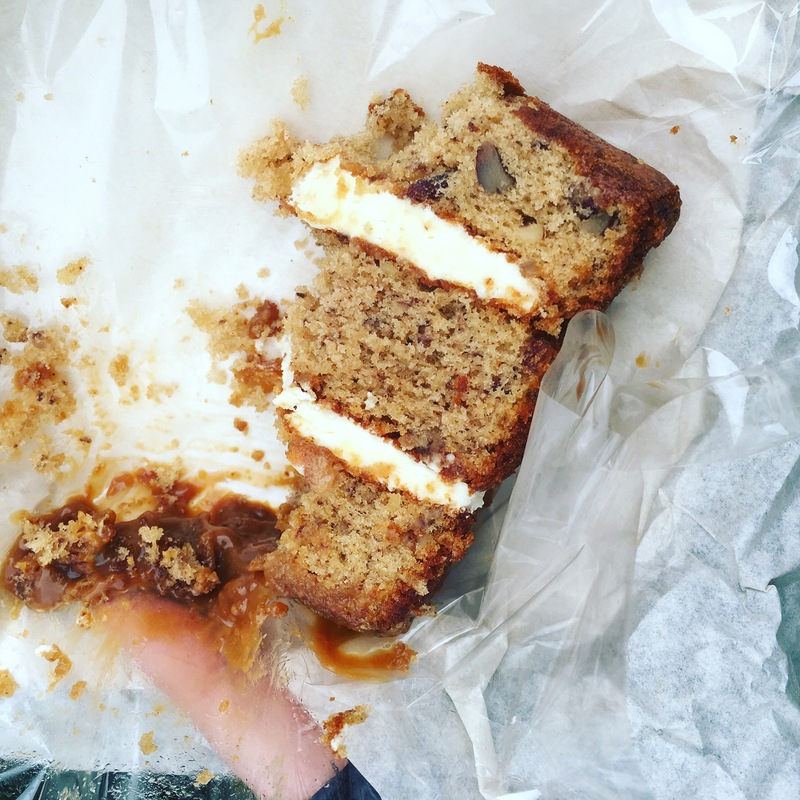 Sure, there was plenty, PLENTY of cake and vendor after vendor of slow-pulled something. There was Caribbean and South-African teams cooking up a storm. I was just missing a few stalls to tempt me into trying a little bit (or a lot) of something different.